Practically ready to build on Duplex lot. Plans Avail. Final development will be provided at the time of completion. 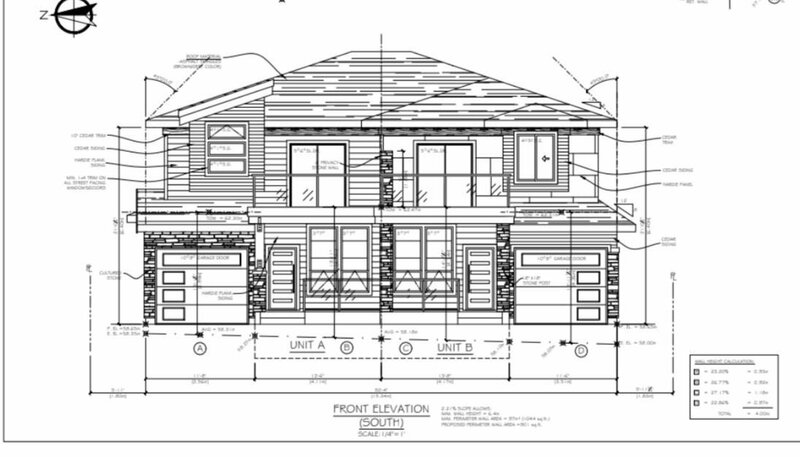 Current plans are for two side by side duplex units of approx 2200sqft each. Open layout, 4bedrooms/3.5baths, Central location, easy access to highways and public transit. Southernly Views. CAN BUILD RIGHT AWAY!!! Do not miss this opportunity. There seems to be a healthy margin in this project as there is a low inventory of entry level homes in the area.